June 19, 2018 – …STILL CRAZY AFTER ALL THESE YEARS! 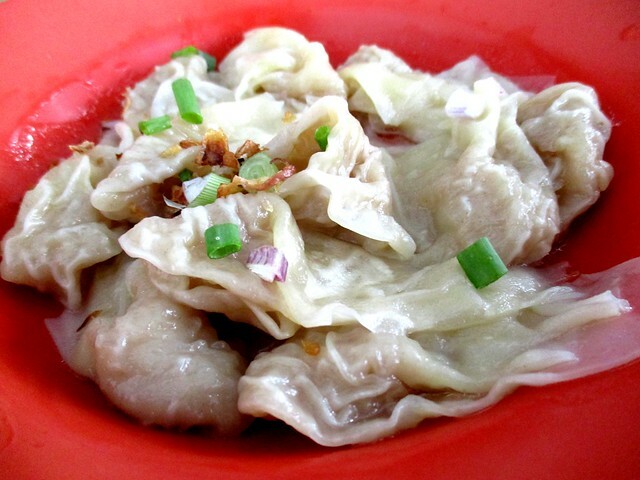 …for the chao chai hung ngang and though the lady had salted vegetables instead of chao chai (preserved vegetables) in the dish, she quite liked it. It turned out that she was the wife of the aforementioned guy and from what I heard, because business was so good at her stall, he closed down his place to go and help her at the new location. One look at the place every morning, one would think that there must be some really very nice things that draw the crowd. We went on a Sunday morning and no, it certainly wasn’t easy getting a table but luckily, we managed to grab hold of one. 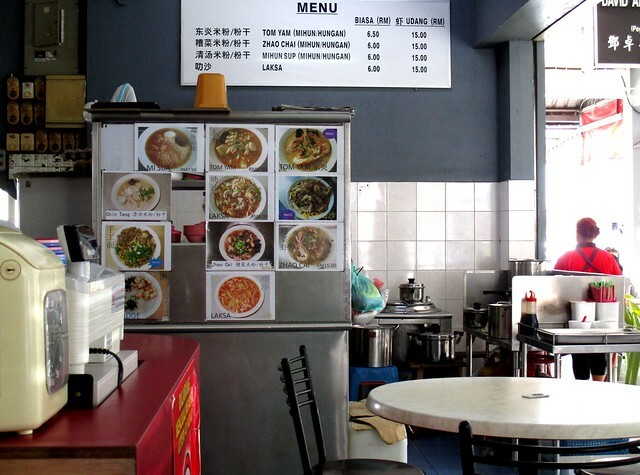 Yes, chao chai hung ngang is gluten free and my girl wanted that for breakfast so I took her here thinking that since the guy is now with his wife at her stall and we liked what he used to dish out, it should be fine now. In the end, my girl barely managed to finish half the bowl so need I say more? 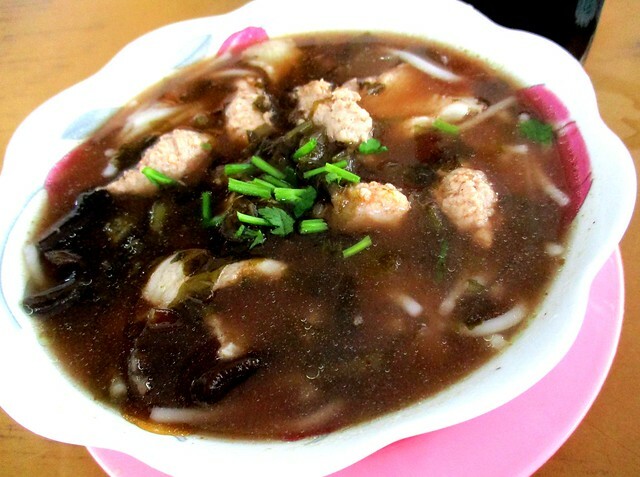 …Taiwanese-style that we used to enjoy a lot, my girl especially but since there are noodles in it and probably soy sauce as well, my girl cannot have that any longer. The mum said that it was still good, just like before so that probably would be one of the crowd pullers at this place. 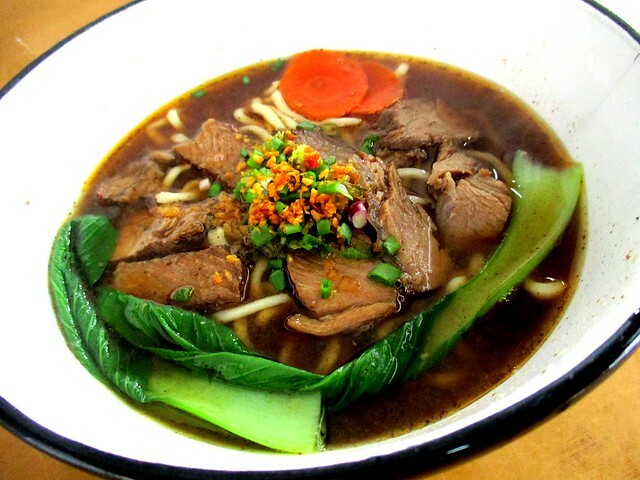 Yes, it was the same people that I knew before in the past and yes, I did enjoy the noodles the last time I had it here…and yes, they were enjoying bustling business too…and maybe because of that, what I had was not all that satisfactory. 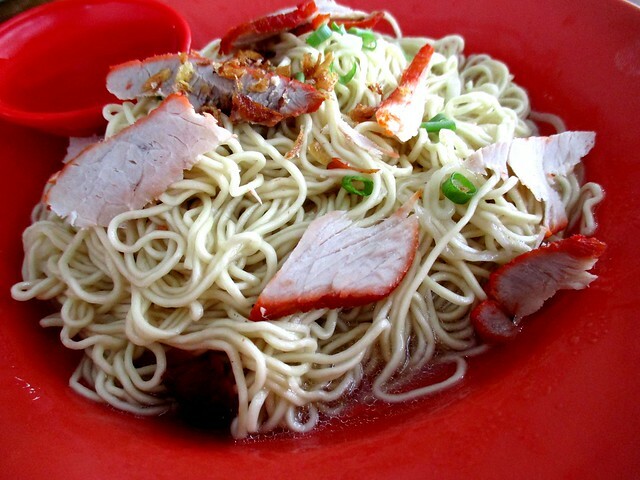 You can see from the photograph that the kampua mee was not completely drained till it was totally dry and that should not be the case. I guess it will suffice to say that I can get the same a whole lot nicer elsewhere. After what we had that morning, we probably would not be all that keen to come back again and if we ever do, we most certainly would choose a day or time when they are not so busy – perhaps what we order would be very much more to our liking then. 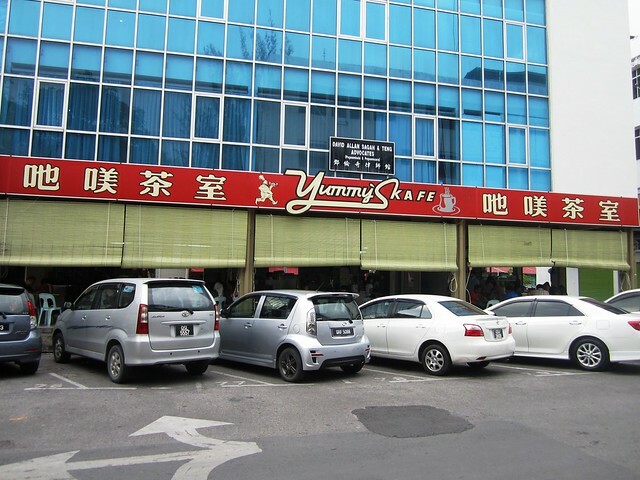 YUMMY’S KAFE is located along Jalan Bako in the same block as the Alliance Bank, Sibu branch, at the other end on the right, off Jalan Tuanku Osman or you can come in via Brooke Drive as well.